With breathtaking beaches, spectacular scenery, thrilling theme parks and some of Australia’s most enjoyable golf courses, the sun-drenched Gold Coast is a prime destination for golfers and holiday makers from across the globe. From Coolangatta to Coomera, and everywhere in between, this part of Australia has long been known to golfers for its diversity of challenging and enjoyable layouts, not to mention the numerous post-golf activities on offer. It’s no wonder why so many of Australia’s biggest amateur and professional events are held on the Gold Coast every year. 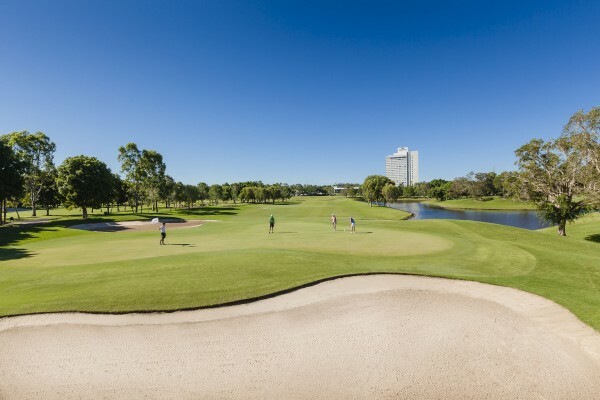 RACV Royal Pines Resort operates the Gold Coast’s only 27-hole composite golf course where golfers can take in all the benefits of resort living while enjoying a first-class golfing experience. Three distinct nine-hole layouts offer a truly unique golf course experience and promises to challenge a golfer from tee to green. As the permanent home to the RACV Ladies Masters and many other prestigious golf tournaments including the Australian PGA Championship, RACV Royal Pines Resort is the home of championship golf in Queensland. The Resort’s courses have and will continue to inspire, motivate and challenge the very best in golfers with a major refurbishment currently taking place. Nine holes of the tournament course were redeveloped in 2014 and open for play in the 2014 Australian PGA Championship; with a second nine holes undergoing redevelopment in 2015, ensuring 18 of the 27 immaculately conditioned holes remain open for general play on a year-round basis. The golf course refurbishment will see every green complex, surrounds and landing areas redesigned. Significantly, every bunker will also be replaced to ensure the redevelopment not only brings the course up to modern-day championship standards, but retains the ability to cater for players of all ability. Originally designed by Japanese course architect Tomojiro Maruyama, the current stunning transformation is in the hands of famous Australian golfer Graham Marsh. The nine-hole layout on the western side of the resort was also designed by Marsh in 2004. One thing you can count on at Royal Pines is that the golf course is always in immaculate condition. The tropical conditions are conducive to lush fairways, true greens and complemented by the new bunker design. Royal Pines takes resort golf to the next level with its natural beauty, rolling landscape and waterways. Apart from the golf course, Royal Pines is also home to Mark Gibson’s Exceptional Golf Academy, driving range, five tennis courts including the only undercover courts on the Gold Coast, a brand-new world-class gymnasium, and the iconic One Spa day spa. Also on offer are peerless meeting and accommodation facilities. A short 25-minute drive from Surfers Paradise and just 40 minutes from Brisbane’s city heart, Links Hope Island delivers big on service from the time you arrive. Pulling up under the Mediterranean Porte-Cochere, you get a real sense of arrival. A knowledgeable Concierge warmly greets players and whisks the golf clubs away, so the next time you’ll see them is when you’re on your way to the tee. Gone are the days are dragging your bag to your cart. Entering the clubhouse feels like you’ve been teleported to an Italian movie set; corridors lined with columns, atrium ceilings, intricate mosaic tile features and a cascading fountain are the centrepiece of a remarkable golf club design. Recently voted #1 Gold Coast Golf Course in Golf Australia’s Top 100 Public Courses, Links Hope Island consistently rates above its peers. Not only is the layout carefully mastered, the daily conditioning and playability lends ample homage to design philosophies. 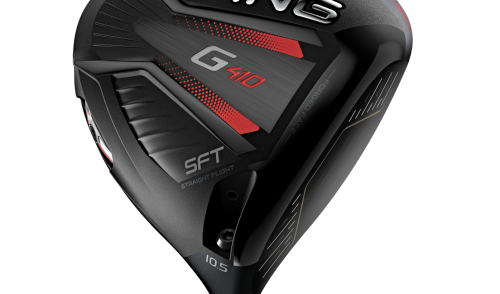 With the Golf Pilot GPS system on board every cart, the experience on course is just as sophisticated. The first of its type in Australia, the Golf Pilot GPS system provides accurate distances from the tee to fairway bunkers, hazards and out-of-bounds including the lay-up distance to any hazard at a glance. On return to the Clubhouse visitors can relive their round on the Legend’s Terrace overlooking the Aquatic Driving Range. Links Restaurant and Bar stocks a full selection of beverages and a tasty array of freshly-prepared dishes daily. The club welcomes visitors and there are plenty of opportunities for both corporate and social golfers to enjoy one of Australia’s favourite golf clubs. 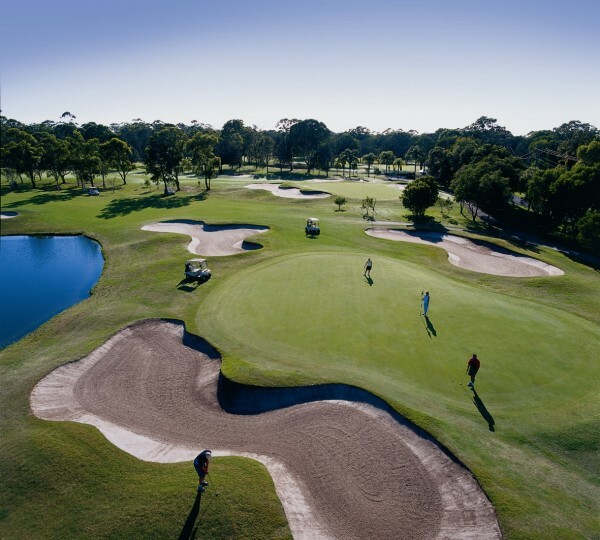 Situated in the heart of the Gold Coast, less than 10 minutes from Broadbeach and 15 minutes from Surfers Paradise, Lakelands Golf Club is Jack Nicklaus’ first signature course designed in Australia. Lakelands Golf Club combines the traditions of Golf and Hospitality by providing its members, guests and visitors with the environment, facilities and services that satisfy their Golf, social and business needs and interests. 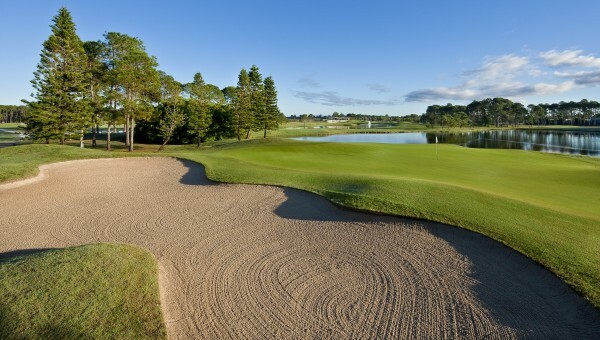 Opened in 1997, Lakelands Golf Club has gained a reputation for “The Best Serving the Best” providing standards and facilities second to none on the Gold Coast. Multiple tee positions make the course user-friendly yet challenging, whatever the standard of golf you play. Nicklaus has used bunkering extensively in his strategic design and water features on many of the course’s 18 holes. With tee times available to the public every day at Lakelands Golf Club, it is a must to play this golf course which has all of the telltale signs you would expect of Jack Nicklaus-designed Golf Course. Lakelands also has full locker room facilities, golf shop, Signature Restaurant and Bar, a full-length driving range, PGA certified coaches available each day, along with all the other facilities you would expect a facility of this reputation to have. Located in the heart of Australia’s premier tourist destination, the Gold Coast, Jupiters Hotel & Casino combines the luxury of an international resort with award-winning restaurants, lively bars, a self-supporting Convention Centre, spectacular stage shows and the non-stop action of the city’s only casino. The property’s $345 million transformation is well underway with stage one, which included two new restaurants, a new pool experience and the painting of the exterior of the property, completed in December 2014. The first new dining venue to launch, Kiyomi, serves a modern, yet distinctly Japanese menu created by internationally-recognised Restaurant Executive Chef Chase Kojima. Chase specialises in cutting-edge Japanese cuisine using unique combinations to create exciting and surprising dishes that can all be shared. For lovers of Italian cuisine, Cucina Vivo draws on traditional Italian food culture by celebrating the joy of sharing locally-sourced, fresh produce together with family and friends. With long, shared tables, platters of delicious hand-made pastas and a bustling wood-fired oven, Cucina Vivo is the perfect place to come together over food and wine and enjoy the Gold Coast’s perfect weather in the property’s first indoor-outdoor restaurant. Jupiters is also home to a stunning new pool and luxury poolside experience featuring private bungalows, cabanas, and a poolside bar. When complete, the redevelopment will also include a new six-star luxury hotel tower and an array of contemporary restaurants and bars. You can stay at Jupiters Hotel & Casino from just $259 per night in a Superior Room Sunday to Thursday or $299 on Friday or Saturday night including breakfast for two at Food Fantasy, free WIFI, two $10 massage vouchers plus more until March 31. There are so many amazing golf courses within a short distance! The offer is subject to availability and booking conditions. For full offer details visit jupitersgoldcoast.com.au or call 1800 074 344. 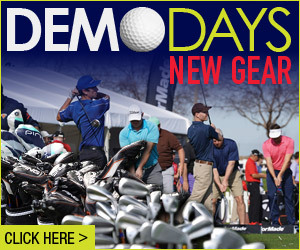 Ever wanted to play golf at the home of one of the world’s best golfers? Then a golfing holiday to InterContinental Sanctuary Cove Resort should be on your wish list. InterContinental Sanctuary Cove Resort is located on the northern end of the Gold Coast within Sanctuary Cove. This prestigious resort style community is home to golf sensation Adam Scott who is currently ranked No. 3 in the world. Scott has been a member of the Sanctuary Cove Golf Club since 2006 and when he is in town, he likes to spend time at the club and enjoys a game or two on the club’s premium course, The Pines. There are two world-class championship golf courses located at Sanctuary Cove, making a short stay and play trip to the Gold Coast, the perfect escape for golfers looking for a challenge. 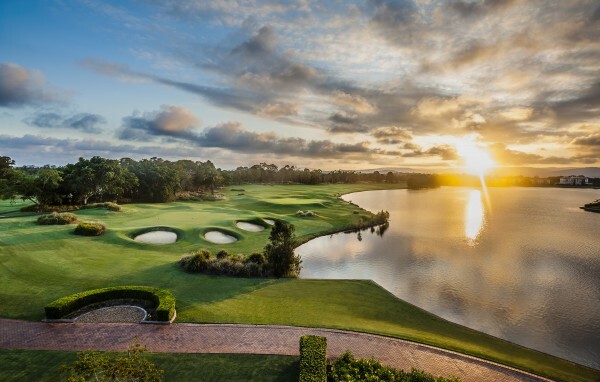 The Pines Golf Course at Sanctuary Cove is the only Arnold Palmer Signature golf course in Australia and is rated as one of the nation’s most challenging courses. 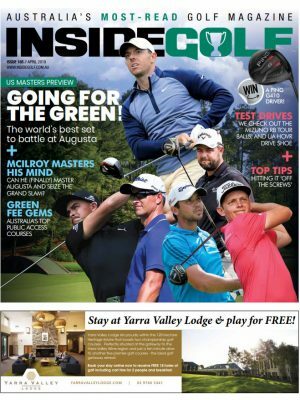 In the words of Sanctuary Cove’s touring professional and recent winner of the 2013 Masters, Adam Scott, “When I think of great golf in Australia, I think of The Pines at Sanctuary Cove, a true test of the game”. 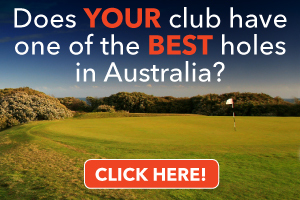 With a Golf Australia rating of 76, the course offers a very special golfing experience. The Palms Golf Course at Sanctuary Cove has recently undergone a major redevelopment and re-designs by renowned golf course architect Ross Watson. 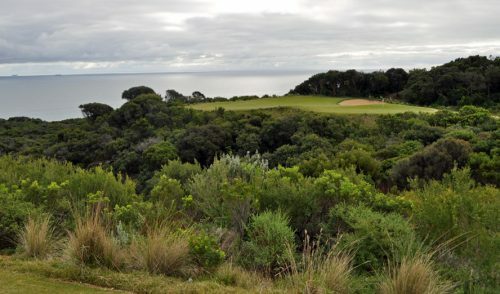 The Palms is now considered a championship course rivaling some of the best golf courses in Australia. InterContinental Sanctuary Cove Resort’s Memorable Escapes Golf package starts from $399 per room per night and includes overnight accommodation, full buffet breakfast for two in Cove Cafe plus two rounds of 18 holes of Golf at The Pines or The Palms. After a round of golf on one of these challenging courses, it’s time to enjoy the resort. Unwind with a cocktail by the one-acre beach lagoon pool, enjoy dinner in the Resort’s signature restaurant The Fireplace or take a stroll down to The Marine Village where you’ll find a fabulous selection of restaurants, cafes and boutiques all overlooking the marina. A golfing holiday at InterContinental Sanctuary Cove Resort offers an enjoyable and unforgettable experience on and off the golf course. Sitting near the beautiful sun-drenched beaches of the Queensland/NSW border is the picturesque Coolangatta & Tweed Heads Golf Club. With accommodation in abundance and no shortage of shopping nearby it’s easy to see why this is one of the more idyllic and impressive golf courses in one of Australia’s most popular holiday destinations. Inside a stunning dedicated nature reserve lie the River Course and the West Course, both 18 hole courses are on 101 rolling hectares and were ranked in Australia’s top 100 Public Access golf courses in 2015. 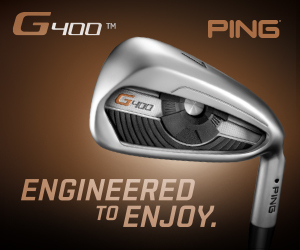 For any golfer the 36 holes will challenge and test as it weaves from gently undulating to flat, wide fairways guarded by groves of well-established trees, and plenty of bunkers and water hazards to keep golfers’ minds right on their game. Smack-bang in the middle of the River Course is a small rainforest, and you may come face-to-face with a goanna or the many species of bird life, generations of which have happily shared their lush riverside habitat with golfers. 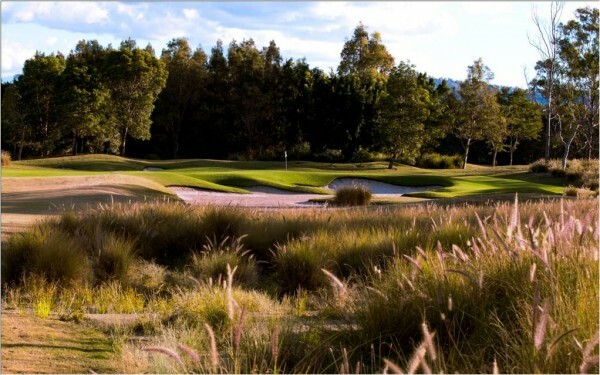 To play a round at Coolangatta & Tweed Heads Golf Club is just a fraction of the cost of many Gold Coast courses and is available all year round. 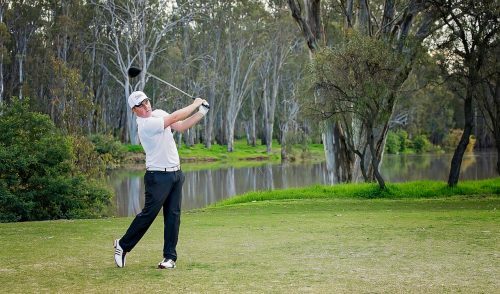 The cost-friendly course also offers other great facilities like The Clubhouse which is perfectly situated with views overlooking the Tweed River. Along with great scenery, this fully licensed venue has a cafe, full club facilities, and a well-appointed Pro Shop, stocked to the rafters with everything a golfer needs and more. After a challenging day on the course at Coolangatta & Tweed Heads Golf Club is one of Tweed’s most popular and busiest restaurants, Danny’s famous seafood buffet, ready to aid the heartiest of appetites. So, it’s easy to see why for so many locals and tourists who visit the Coolangatta & Tweed Heads Golf Club they consider it one of the best. Ross and Jamie of Premier Golf Adventures offer the ‘’best value for money’’ golf packages on the beautiful Gold Coast, and they will tailor your own personalized golf package to suit every requirement of your golfing group. They will arrange your return airport transfers from the Gold Coast or Brisbane airports to your accommodation, and will book your accommodation at Broadbeach, Surfers Paradise or Coolangatta to your required rooming requests. They will also book your golf games at the golf courses of your choice and at your preferred tee times and arrange pick-up times that allow you to warm-up before golf and have a few cold drinks after golf. They even store your golf clubs every night, which saves the hassle of carting them to your room after each game. This helps make your golf trip with Premier Golf a memorable one. Premier Golf Adventures have access to all the golf courses on the Gold Coast and also have golf packages available on the Sunshine Coast and Thailand. Self Drive Packages are available at discounted rates.